I’ve spent over twenty years sloshing about in wetlands around Sydney and surrounds. They’re changing. They’re changing due to shifts in climate, sea level rise, and urbanisation. The 2019 World Wetlands Day is a time to stop and reflect on the state of wetlands around the world and how we can keep them health under the threat of climate change. World Wetlands Day is held every year on 2 February, this day marking the adoption of the Convention on Wetlands on 2 February 1971 in Ramsar, Iran. The theme of the 2019 World Wetlands Day is “Wetlands and Climate Change” and we shouldn’t just think about the impact of climate change on wetlands but also how wetlands can help us as we face the challenges of a changing climate. Coastal wetlands around Sydney are impacted in many ways. Mangrove forests and saltmarshes are degraded through direct and indirect human activity. There is recent research indicating that sea level rise is impacting mangroves along the Parramatta River in Sydney. This requires active management to ensure substantial degradation and die back occurs, as has been seen elsewhere in Australia. Some of our research even suggests that degraded mangroves are more productive when it comes to mosquitoes. Effective rehabilitation of these habitats may actually reduce the mosquitoes flying out of these environments and impacting the community nearby. Similarly, urban planning should consider the risk posed by mosquitoes in wetlands adjacent to new and expanding residential developments. This includes major wetland rehabilitation projects. The challenges facing wetlands isn’t unique to Australia. Released in conjunction with World Wetlands Day preparations was The Global Wetland Outlook. A document that provides “a current overview of global wetlands: their extent, trends, drivers of change and the responses needed to reverse the historical decline in wetland area and quality”. While we think of rainforests and coral reefs under greatest threat, it is a sobering thought to think that up to 87% of the global wetland resource has been lost since 1700. These are environments that were, until relatively recently, considered wastelands. With this lack of perceived value came greater susceptibility to abuse and degradation. Along with the unsurprising loss of wetland area and decline in biodiversity associated with these environments come some interesting findings. The most interesting from a mosquito management point of view is that artificial wetlands are actually increasing in some areas. Notwithstanding an assessment of the ecosystem services they provide, they’re more likely to be closer to human habitation, so any mosquitoes associated with them may have relatively greater impact. In recent years, the value of wetlands has increased. There is an understanding now that these environments provide critical ecosystem services. There is also a growing understanding of the wetland’s roles in mitigating the impacts of climate change. Coastal wetlands in particularly provide protection from increasingly severe storm events and trap valuable carbon stores that assist in mitigating the impacts of climate change. This then raises the issues of mosquitoes. Mosquitoes are a natural part of wetland ecosystems. While often their pest impacts may indicate the poor health of the wetlands, at other time, abundant mosquito populations are a natural occurrence that fluctuate in their intensity from year to year. How do best manage mosquitoes associated with these wetlands? I’ve written about how I think mosquito control should actually be considered an important component of coastal wetland rehabilitation. How climate change may be impacting mosquito threats and that even hot and dry summers under the influence of El Nino may not necessarily mean that mosquitoes are less problematic. Based on the experience during the 2018-2019 summer, mosquitoes seem to persist in plague proportions despite the extreme temperatures being experienced in NSW. It is important to remember that there are many mosquito species associated with wetlands, especially freshwater habitats, that pose no substantial threat to humans. 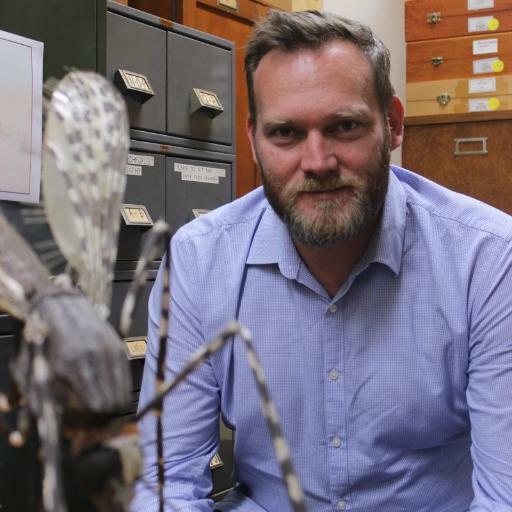 There are hundreds of mosquitoes in Australia, less than a dozen really pose a substantial pest or public health threat. Many mosquitoes may play an important ecological role in wetland ecosystems. This may include representing a locally important food source for insectivorous wildlife or possibly pollinating plants. A balance is required. If we’re going to continue squeezing an increasing human population into a narrow stretch of land up against the coast, there are many issues to consider here and they’re not just about how human activity is impacting those coastal wetlands. Pollution is a problem, our physical damage is another. Worst still, we’re taking away the opportunity of these normally resilient habitats to adapt to a rising sea levels and increasingly frequent storm events. Our cities and their infrastructure provide a hard and unforgiving edge against the wetlands. Our wetlands even battle against themselves sometime. The threat of mangrove incursion into saltmarsh habitats is of increasing concern. Its counter-intuitive but perhaps we need to be pulling out mangroves to save some coastal wetlands. Expanding, modifying, and creating new coastal wetlands will require local authorities to turn their mind to the issue of mosquitoes. Firstly, consideration needs to be given to what may constitute a tolerable level of mosquito exposure. How many mosquito bites are too many? How many cases of mosquito-borne disease are considered “normal” each year. Once these thresholds are drawn and exceeded, who is responsible for the decisions on active mosquito control? Who pays? Another ecosystem disservice to consider is how the nuisance-biting of mosquitoes may discourage engagement with local wetlands. less engagement may mean less support for conservation and rehabilitation efforts. Less community interest, support, and activism may then result is less political drive to protect local wetlands by local authorities. Importantly, decisions regarding the management of coastal wetlands, as well as those peppered throughout the city, need to be made with some consideration of mosquitoes and their potential impact. How do you convince the local community about the overall benefits of carbon sequestration, wildlife conservation, and protection of infrastructure is worthwhile if their quality of life is degraded through summer swarms and nuisance-biting mosquitoes? More details on managing the risks associated with estuarine mosquitoes is provided in this book chapter included in the free Sydney Olympic Park Authority’s guide to managing urban wetlands. For more about World Wetlands Day activities in Australia see here. To stay up to date with my adventures in local wetlands, you can follow me on Instagram here. What do dogs and bird drawings have to do with conservation? Ask a dog owner why they let their pets chase shorebirds across the local mudflats and the response will usually be “Don’t worry, they never catch ‘em”. But dogs don’t have to catch the birds to have a serious impact on them, especially when they’re chasing them off wetlands full of mud dwelling invertebrates that the birds love munching on. Perhaps if the community was more aware of how vulnerable the shorebirds are, maybe they’d be more likely to keep their dogs on a leash, off the local mudflats and the birds could feed in peace. But how can we get the message across to local residents? The Bar-tailed Godwit, Limosa lapponica, is a migratory bird that flies all the way from Alaska to feed in Australia’s coastal wetlands each summer. A medium sized brown and white bird with a distinctively long upturned bill, the Bar-tailed Godwits are commonly seen feeding on aquatic insects and molluscs along the muddy foreshore of Sydney’s Parramatta River. They’ve become an iconic bird of the region, even featuring as one of the “mascots” of the “Our Living River”, an initiative to improve the health of the Parramatta River. Each spring they make the trip from the Arctic to Australia (non-stop flight around 11,000km has been recorded!) but to make the long flight back to Alaska, the Bar-tailed Godwits rely on finding enough food among the wetlands during their time along the river. The birds are commonly seen from spring to early autumn, often in flocks of a dozen or more, foraging in local mudflats. But their habitats are under constant threat from pollution and the encroachment of mangroves. One location where the birds are commonly seen is Hen and Chicken Bay in the City of Canada Bay Council local government area. The suburbs of Abbotsford, Wareemba and Five Dock are nearby and the foreshore pathways and parklands are popular locations for exercise and recreation by both residents and visitors (please check out my favourite cafe, The Cove Dining Co, when you’re next visiting). Unfortunately, the ever increasing human population, together with the easy access to the foreshore, brings threats to the Bar-tailed Godwits and their habitats. The Bar-tailed Godwits are quite tolerant of people. They’re happy to keep feeding while people and pets walk past. It provides a wonderful opportunity for the community to see these unique global travellers up close. They have a tough time though when constantly chased by dogs or disturbed by people. Many times I’ve seen dogs running along the low tide shoreline, no doubt it is fun for both the pet and their owner. I have no doubt there is complete ignorance of the unintended consequences and that this may be a problem for the birds. Awareness of shorebird conservation issues among those sharing habitats is a critical issue to address. Reducing the impact of dogs on shorebirds is an issue faced by authorities around Australia as well as overseas. Beyond wetland habitats, studies have also shown dog walkers can have a negative impact on bushland birds too. Putting a fence up around the wetlands isn’t a solution. The use of buffers is impractical and nobody wants to start setting traps or baits to stop the dogs. What else could be tried? Inspired by a project in Ku-Ring-Gai Council where school students drew signs encouraging dog owners to pick up after their pets, a similar approach was proposed for Hen and Chicken Bay. Could signs featuring the artwork of local students help get the message across? Jointly funded by the Abbotsford Public School Parents and Citizens Association, and City of Canada Bay Council (Council’s Bushcare Department contributed funds in additional to a Canada Bay Community Grant), a series of educational signs were installed along the foreshore pathway of Hen and Chicken Bay as well as nearby Henry Lawson Park and Halliday Park. When trying to decide on the design of the signs, it was important that there was some community ownership of the messages, they were aesthetically pleasing and lacked a serious authoritarian tone. A competition was launched among students at Abbotsford Public School to draw Bar-tailed Godwits, one illustration was selected from each grade to be showcased on the signs. While the student’s drawing may not have been taxonomically accurate, they certainly reflected the great enthusiasm for the birds and this conservation process. The school itself was wonderful and a component of the curriculum involved the students learning about the Bar-tailed Godwits and the importance of local wetlands. A local author, Jeannie Baker, had recently published the wonderful children’s book “Circle”, and a copy was purchased for almost every classroom and became a reference point for learning about the birds and their amazing global migratory journal to the local wetlands each year. Directly involving the students not only yielded some wonderful illustrations to personalise the signs but it also engaged the broader school community and assisted raising the profile of the project. Along with an unique illustration on each sign, the key messages promoted were that the Bar-tailed Godwits visits the local mudflats from the Northern Hemisphere each year between August and April and to please don’t allow your dog onto the mudflats and please don’t allow off-leash dogs to chase birds. Dog owners were also directed towards to local off leash area in a nearby park. An attitudinal study of dog owners in Victoria, Australia found that “Dog owners were more likely to feel obliged to leash their dog when they believed other people expected dogs to be leashed, and when they believed their dog was a threat to wildlife or people.” While this study was associated with beach-nesting birds, perhaps a similar attitude exists among those dog owners prone to allowing their dogs to run across bird-filled mudflat? The signs were unveiled at an official launch in December 2016 by the Mayor of Canada Bay Council, Helen McCaffrey, and in attendance were representatives of Birdlife Australia, Our Living River and dozens of Abbotsford Public School students. Judy Harrington, Sydney Olympic Park Authority, kindly gave a talk to students on the day about the Bar-tailed Godwits and in the shadow of an approaching summer storm, a class alongside the local wetlands was a wonderful way to launch a novel and engaging project of environmental conservation. Got any other ideas about how we can protect our local wetlands wildlife? Join the conversation on Twitter!